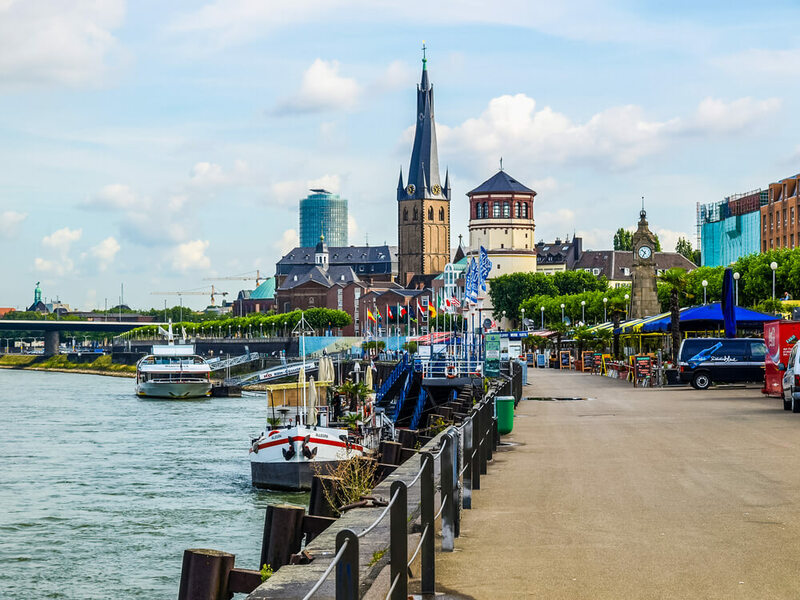 Dusseldorf’s Old Town, which is otherwise known as Altstadt, may measure just one square kilometre, but it has more to offer than any other district in the city. From the longest bar in the world to impressive historical monuments, this is an area that visitors to Düsseldorf must definitely visit. With so much history behind the city’s Old Town, taking a guided tour of the area is one of the best ways to acquaint yourself with it, and will give you an idea of places that you want to later explore further on your own. There are many different tours to choose from, the majority of which will also include food and drink, while showcasing local specialties. Several of the breweries in the area can also be toured, most of which also offer up beer tasting sessions. Since Altstadt measures just one square kilometre, the guided tours generally last for a few hours each, and there are many child-friendly versions to choose from if you are visiting the city with young ones. 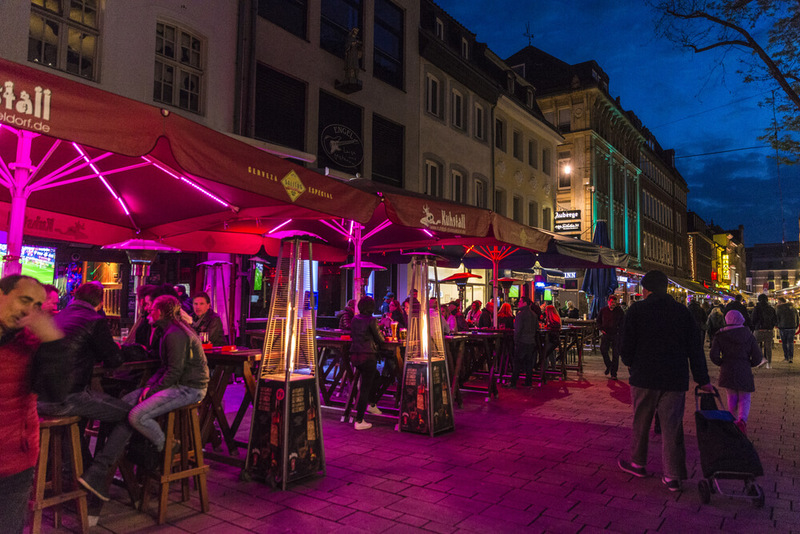 There are over 300 bars to be found in Altstadt, and these have been designed in a really unique way. Since each bar counter connects to the bar counters next door, this means that Altstadt is home to the longest bar in the world. The bars here are known for serving up Altbier, which is the local brew from Düsseldorf, and is a dark, top-fermented beer that usually contains a variety of hops and barley. Brauerei Zum Schiffchen is a great place to try this, as this is the oldest restaurant in the city, while Zum Uerige is another classic German bar. Brauerei im Fuchschen is also worth a visit, as this is a pub brewery that offers a great view of the taproom while you are sitting having your drink. In addition to all of the bars and restaurants that you will find in Altstadt, there are many other sights that are worth checking out. For those who would like to visit a few museums, there are a few in Altstadt to choose from, including the innovative NRW Forum, the Museum Kunstpalast, the Kunstsammlung Nordrhein-Westfalen, and the Filmmuseum, the latter of which has been praised by a number of Hollywood greats. Altstadt is also a great spot for performance arts, as it is home to the Opera House, a theatre and a concert hall, all of which have helped to cement the city’s reputation for being an arts and culture hub. Altstadt is also where you will find some of the most breathtaking churches in the city, such as the Sankt Lambertus Basilika, which was originally built in the 13th century and is famous for its twisting spire. Düsseldorf is home to so much history and culture, and its Old Town is one of the best areas in which to experience this. Whether you spend the day bar hopping, or take some time to tour the museums and historical landmarks, it is no surprise that Altstadt is one of the city’s main tourism hot spots.